If you have a business or a company with people, a team of workers, working for you, you should learn how to organize them in the right and most efficient way. The key for your success is developing your leadership and management skills. You should always try to be a good leader and to achieve a sort of authority among your workers, but also a good mediator. Your workers should always get clear and efficient instructions from you and you should provide them with the optimal working conditions. Management skills are also very important because you should know how to organize your business and your workers in the right way. A good, fast and efficient way to become better at management and upgrade your skills is to take online management courses. In the era of Internet and technology that is the best way to upgrade your skills. It is easy, cheap and readily available for everyone. There are some simple rules and tricks you can apply in order to improve your management skills. You should always motivate your workers by giving them something to look forward to. 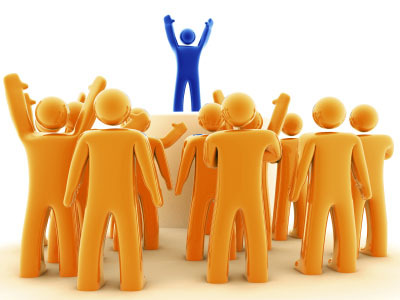 You should make your workers strive for promotion and recognize their efforts and hard work. You need to give them the right incentive. Always be open for conversation with your workers and try to be available for them at all times when you are at work. You should hear them out if they have some creative business ideas or even complaints. When they feel that you are there for them and that you care about what they have to say, they will work even harder and better. When you criticize your employees you need to use constructive criticism. So be polite and do not yell or make them feel uncomfortable. This will make your relationship with your workers much better and productive. Create a comfortable and positive office environment and your workers will know how to appreciate it and the results will be the higher effectiveness rate. In every business it is important to be a good and strong leader if you are the boss. You have certain responsibilities that you cannot perform if you don’t work on your leadership skills. You should have clear goals and always strive to achieve them, and also motivate your workers to achieve these goals with you. It is very important for you to be a good role model for your workers, to be moral and just and to work hard and stick to your goals. You should also try to always be positive and pleasant to your workers and work on improving your communication skills so you can clearly communicate your vision or goal to your workers. Always be ready to motivate your employees and let them know that they have potential. Make them feel like they are your equal by encouraging them to strive to become better and more efficient at what they do. You should also try to improve yourself all the time. There are always things to be learned and mastered skills to be improved. Improve yourself all the time and you will become a great leader. So, consider applying the tips in developing and improving your management and leadership skills and your business will start to blossom.